How we approach each move is conditioned by many variable factors. Some of those factors are the number of items to be moved, their characteristics, as well as the distance. 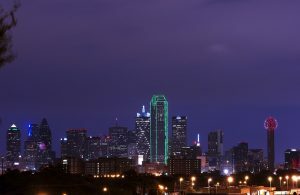 Here, we’ll discuss executing a Texas local move in the Dallas-Fort Worth area, the largest metropolitan area in both Texas and the South, with the help of our Dallas-Fort Worth movers. We are one of the moving companies Dallas-Fort Worth area can be most proud of. What guarantees an effortless, stress-free local relocation? Truth be told – nothing. However, the best measure of precaution you could possibly think of is asking our professionals to help you relocate. Opting for full-service relocation means you’ll have more time to solve other issues related to the move, such as finding a place to live, canceling subscriptions, switching utilities, cleaning, etc. Although a local move may seem like a minor task you can easily take care of yourself, that is not really the case. Long distance relocation is similar to local moving in more ways than you think. Regardless of the destination, moving always involves a lot of risks. Moving mistakes are usually the result of inexperience and the lack of time. Hiring unreliable Dallas-Fort Worth movers puts every aspect of relocation at risk. Anything they are in charge of can go wrong. 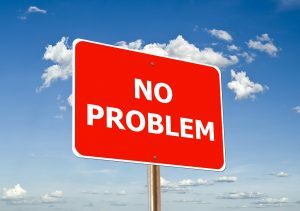 There are a plethora of potential problems – from tardiness, hidden fees, and irreparable damage to missing items. Moving in a hurry could have serious health consequences, such as physical injuries, stress, and exhaustion. The lack of proper tools and equipment may also lead to injuries and damage. Leaving in a hurry could result in forgetting to bring some of your belongings. Packing in a rush means not paying enough attention to how you pack your belongings. This is a common mistake which jeopardizes the safety of your items, especially the fragile ones. Not even the best packers are able to protect delicate items from damage if the packing materials are of poor quality. Overlooking important steps, like measuring your new place before the move or properly preparing certain items for relocation (e.g. disassembling appliances and furniture) is a huge mistake, too. Fortunately, none of this will happen with the help of the best moving company Dallas-Fort Worth area has to offer – Evolution Moving Company Fort Worth. Do not underestimate a local move. Just because you’re not going far away doesn’t mean the move is risk-free. Moving preparations can take weeks, even months, and involve a lot of different tasks. Therefore, we suggest starting the preparations as early as you can. If you think you will remember everything, don’t count on it. Even if your memory is in perfect shape, something could easily slip your mind. So, put all your moving tasks on paper first. This way, not only will you avoid forgetting, but you may also find a better approach to tackling these tasks. Every move has its costs, most of which can be expected. There will not be many surprises if you are a wise planner. Of course, your Dallas-Fort Worth movers will do their part. All professional moving companies from the Dallas-Fort Worth area should offer moving estimates to help you prepare your budget. Our Dallas-Fort Worth movers provide estimates that are not only accurate but also affordable. By hiring local movers for a short distance move, you are already helping your budget (since movers from another state would charge more). In addition to the moving company fees, there are numerous other moving expenses you should be aware of. With this in mind, put pen to paper and start calculating. Packing is one of the crucial steps without which you can’t move anywhere. Even if your new place is across the street, you must pack at least some of your items. We can’t stress enough how important it is to have quality packing supplies. Of course, Evolution Moving can provide you with them. If you don’t need our Dallas-Fort Worth packers to help you, there are some safety precautions you need to know about. Organization is key. Remember to label all boxes according to the room. Thus, you’ll make unpacking easier. Although the distance they are traveling is short, heavier items should not be placed on top of lighter ones. Moreover, there should not be any gaps between packed items. Use crumpled paper or any soft material to fill in the gaps. Not following these rules will almost certainly result in disaster. You can use dishpack boxes for dishes, wardrobe boxes for your clothes and sturdy, similar sized or original boxes (if you still have those) for electronics and appliances. Furthermore, use plastic bags for makeup and all bottles containing liquids in order to prevent spillage. When it comes to packing and moving artwork, pianos and other valuable fragile items, leave it to your Dallas-Fort Worth movers. An out-of-state company could never do this job better than a local business. Our dedicated team serves the entire state, including the DFW area. We know this area like the back of our hand, which guarantees a more efficient service. Our Dallas-Fort Worth movers execute local moves across the DFW area. Evolution Moving specializes in local relocation and providing long-distance moves across Texas. So, if you need a place to store your belongings in the DFW metropolitan area, count on us! Our moving crew is trained to handle all your moving needs. We pack, unpack, and transport all sorts of goods, regardless of the circumstances, such as weather conditions or difficulty of access to the premises. All of our clients are able to customize the move to fit their specific needs and budget. We do our job with maximum professionalism, respecting the set deadlines and your wishes.